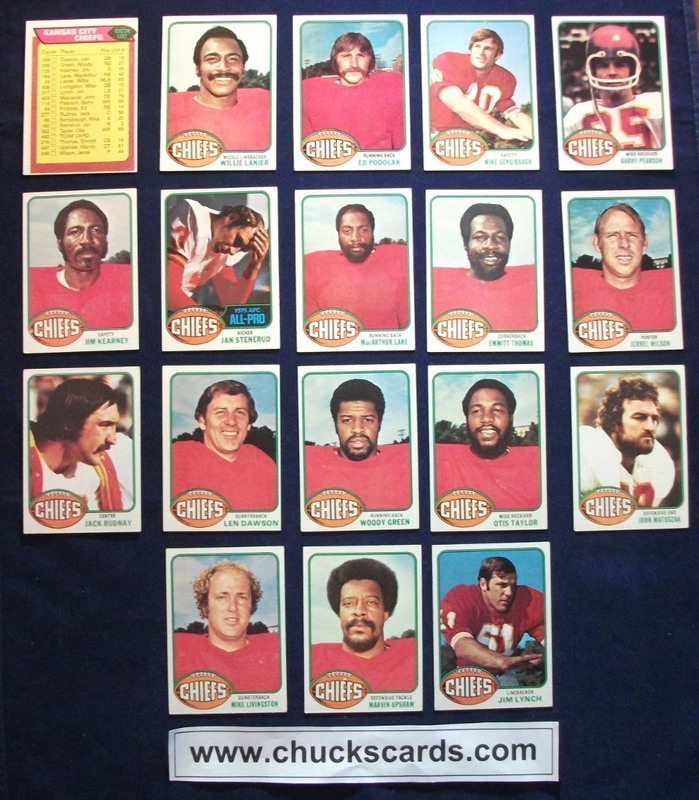 This page lists the different Kansas City Chiefs football card Team Sets that I have for sale. The team sets range from 1972-2018 and include most major card brands such as Topps, Upper Deck, Score, Fleer, Pro Set and more! 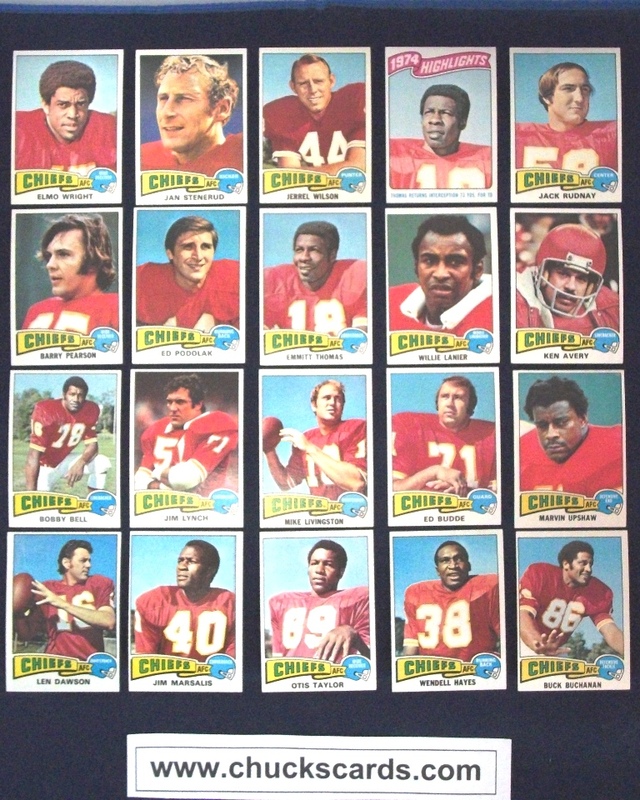 Check back often as I am always adding more team sets.